This league is designed for full team registrations. Full teams are between 5 and 12 players. Individuals who do not have a team should sign up for our DFL Skills Academy. 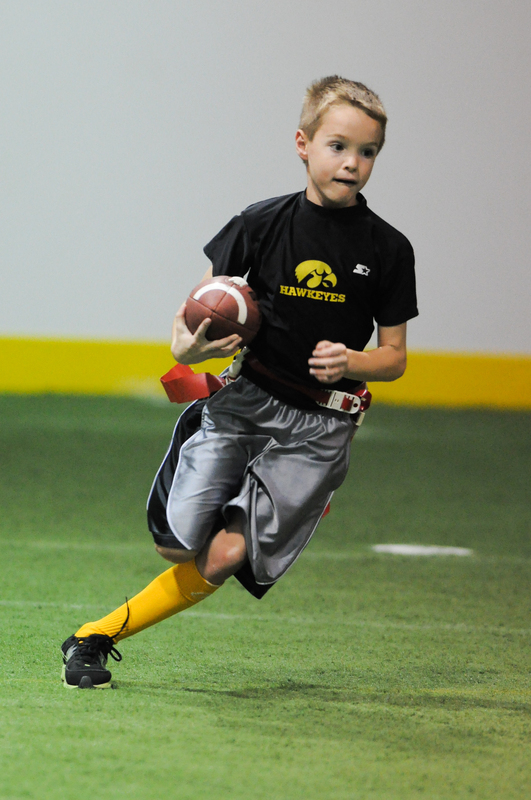 The primary day for activity for all youth flag football leagues is Saturday, with occasional matches on Wednesday. All teams must provide their own jerseys and all players on those teams must have matching jerseys. All league rosters will be frozen after the team’s third game. It is the team representative’s responsibility to get all players' names on the roster. All players must have a valid Plex membership card to play. All players must sign an annual waiver. Playoffs are the last week of each session. No cleats are allowed on the turf. A $200 deposit is due at the time of registration, and the remaining balance is due by the first game. If you have a team that is ready to join an upcoming Youth flag football league, complete the registration form by clicking the "Register Online" button to the right of the page.